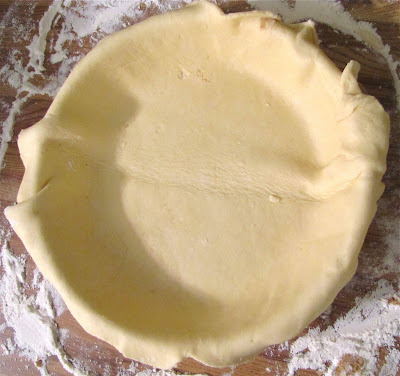 Since it's pie season I thought I would share with you Aunt Alora's pie crust recipe. It's the best! I make a big batch at one time and freeze them so I'll have them handy. Here's the recipe. Cut the butter into tiny cubes and put in a kitchen aid mixer bowl. In a separate bowl mix together the flour, sugar and salt and add to the bowl with the butter. Beat the butter together with the flour mixture until fully incorporated. Beat the vinegar and egg together with a fork. Add a 1/2 cup cold water to the egg mixture then add the egg mixture to the rest and mix until moistened. Mold into a ball and separate into four portions. Whatever you're not using right away flatten and divide with wax paper. Cover again with plastic wrap and put it in a freezer bag. This recipe makes four 8" crusts so I roll out what I need for one pie and then freeze the rest. They will last in the freezer for up to a year. 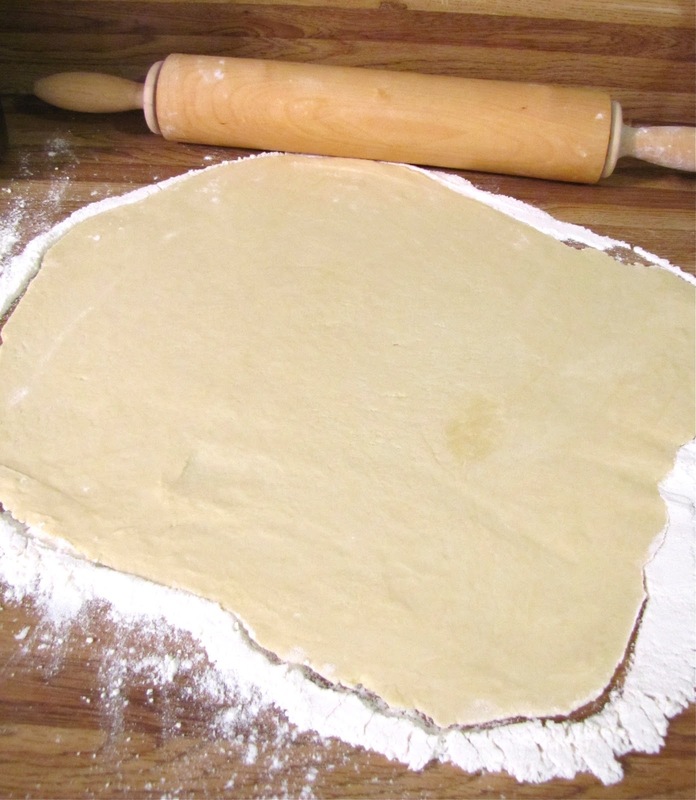 Roll it out with your rolling pin. Carefully add it to your pie dish. Cut some slits in the top so the yummy filling can bubble out. Check out the recipe for Crunchy caramel apple pie! It's delicious! OK... I now need pie!! :^) I find that perfect crust the hardest thing. Thanks for sharing the recipe!